Douglas Elliman sports and entertainment agent Gordon von Broock and the von Broock Team, hosted the a Celebrity Golf Classic Preview Event benefiting World Series Champion “Big Papi” David Ortiz’s Children’s Fund. Held at the luxury new development, 125 Greenwich Street, where von Broock is part of the exclusive sales team, the event drew MLB Network host & reporter Heidi Watney, Fox’s Empire & New York Undercover actor Malik Yoba, former NFL player Dale Moss, legal eagle Alex Spiro, and Hallie Lorber, president of the David Ortiz Children’s Fund. VIP guests mingled in the 125 Greenwich Street sales gallery located on the 84th floor to take in the views of Lower Manhattan and find out about the 11th annual charity golfing and social getaway hosted by Big Papi taking place November 29 to December 2 in the Dominican Republic. 125 Greenwich Street is a new 88-story, 912-foot-tall luxury condominium skyscraper with architecture by architect Rafael Viñoly and developed by Bizzi & Partners Development. The von Broock team also presented their Refer A Friend, Save A Life Commission Donation Program — for every referral made by friends of the foundation, Alan Perez of Douglas Elliman will donate 25 percent of his commission on all completed transactions to the David Ortiz Children Foundation. 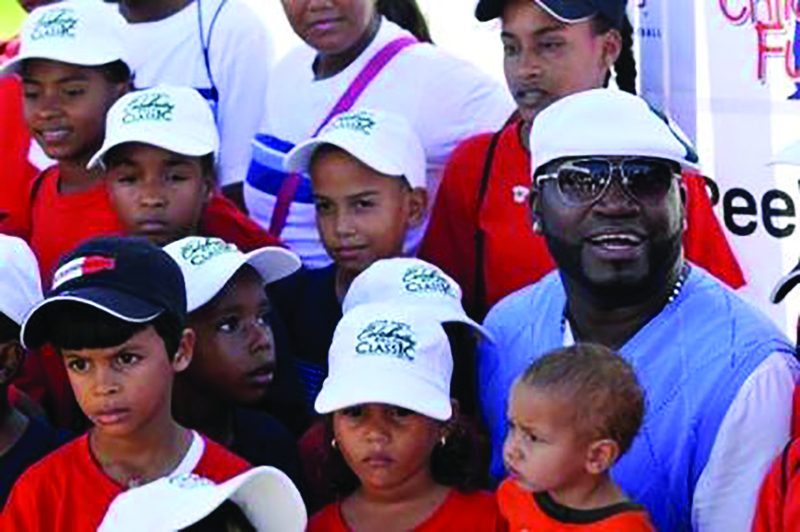 The David Ortiz Celebrity Golf Classic (DOCGC) brings together some of the biggest names in sports and entertainment to raise funds for the Fund which provides critical pediatric healthcare in Ortiz’s native Dominican Republic and throughout New England. Bohemia Realty Group will host the eighth workshop of its 2018 monthly series on Wednesday, October 3 from 7 to 8 p.m., at their offices at 2101 Frederick Douglass Blvd. Top-performing agent Lindsay Nelms will host “Design Your Rental on a Budget,” which is free and open to the public. “Finding ways to personalize a rental without spending an excessive amount of money or violating the terms of a lease can be difficult,” said Nelms.